All brides are beautiful. Our recent feature on wedding brides helped bring accusations us of permitting a cultural separate but, as beauty is based on the eye of the beholder, so will common sense. So, without defending our stance any more, we’ll continue with our theme of Yaaas Queen-ing real brides. 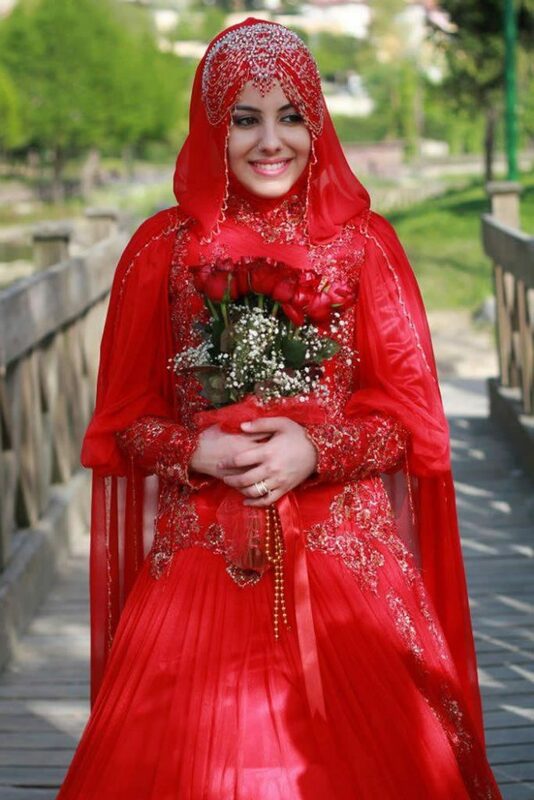 Next on our wedding plan are hijabi wedding brides. Mile-long think bits have been discussed this, both defending and criticising the hijab, and judgment is divided. In hindsight, though, at the primary of feminism sits the freedom of choice. Hijab is a decision, and a gorgeous one at that – face-framing headscarves, each more unique than the other. Actually, as you scroll through our selection of hijabi brides, you won’t disagree. Traditions needn’t always be suffocating; they could be beautiful and amazing too. 1. Here’s to the bride who proves that beige can be bridal too. 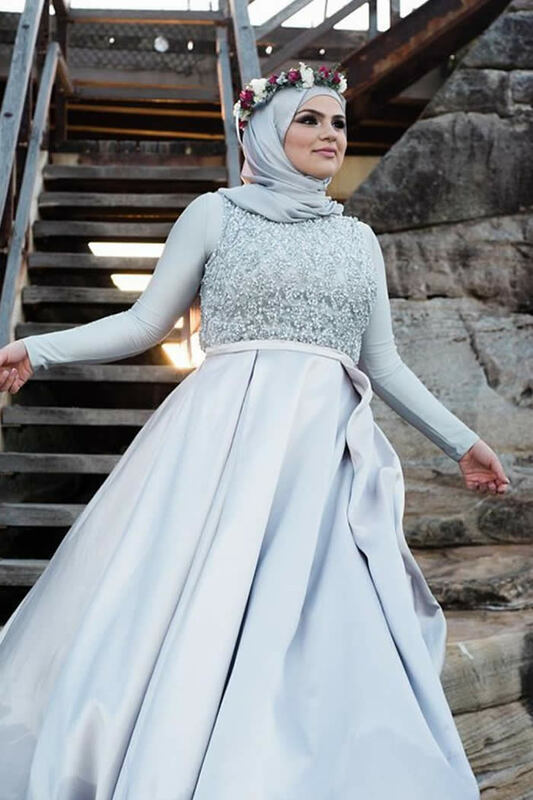 For her nuptial stylebook, she picks a beige outfit and a coordinated hijab. On top, she layers a gold-and-pearl mathapatti, and I am not crying… you are! 2. 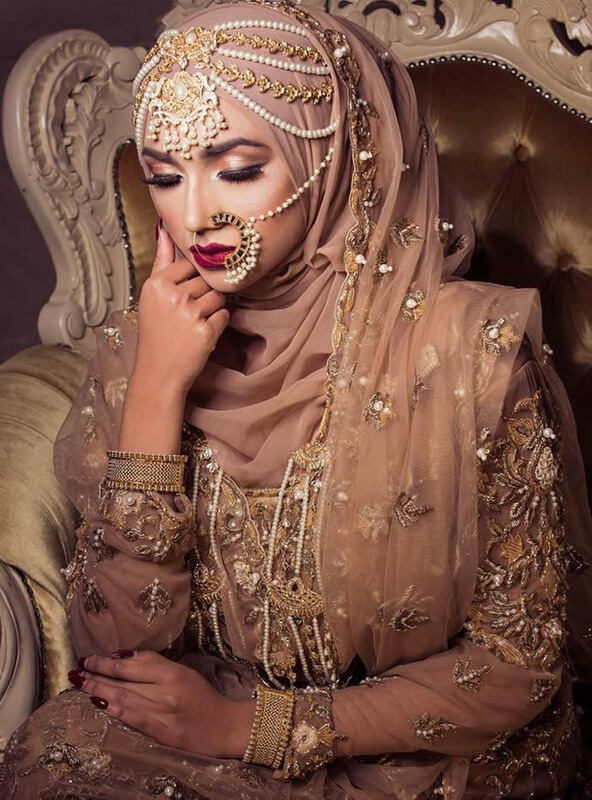 Some brides sports their hijabs under their veils, like this bride-to-be here who, in her decadent red lehenga, is presenting us smokey-eye realness. 4. This bride who anchored the perfect bridesmaid picture, with all her besties in tow, and who, BTW, dressed precisely corresponding to bridal mandate. BRB, need to have a screenshot and send it to my gal gang. 5. This curvy bride who proves that there surely is beauty in ease, and that flawlessly-fitting wedding dresses are irreplaceable. 6. 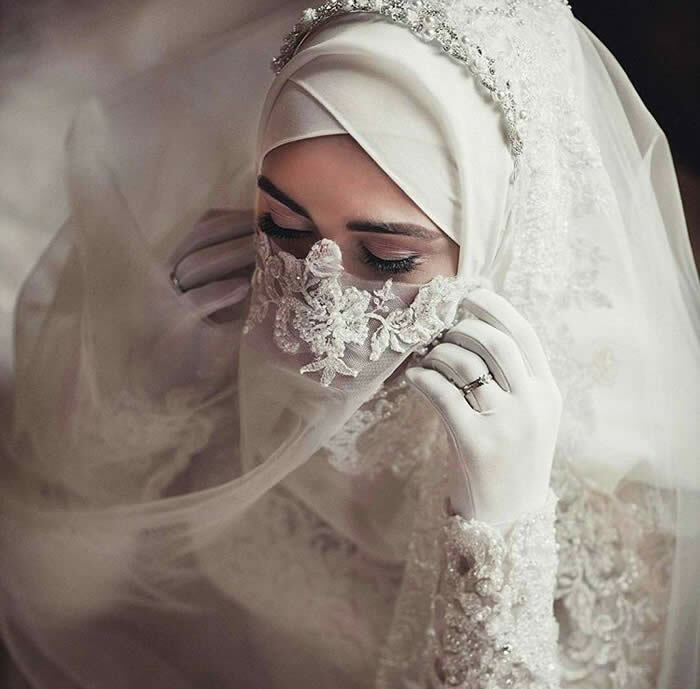 This bride’s contrasting hijab-veil mixture is everything. 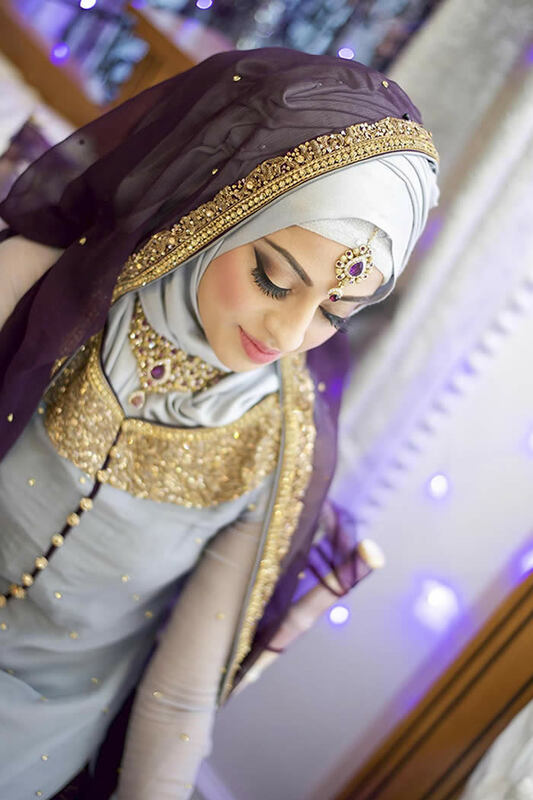 Notice how she fits the veil with her amethyst jewellery? Love. 7. Tulle wedding dress? Check! Never-ending path? Check! 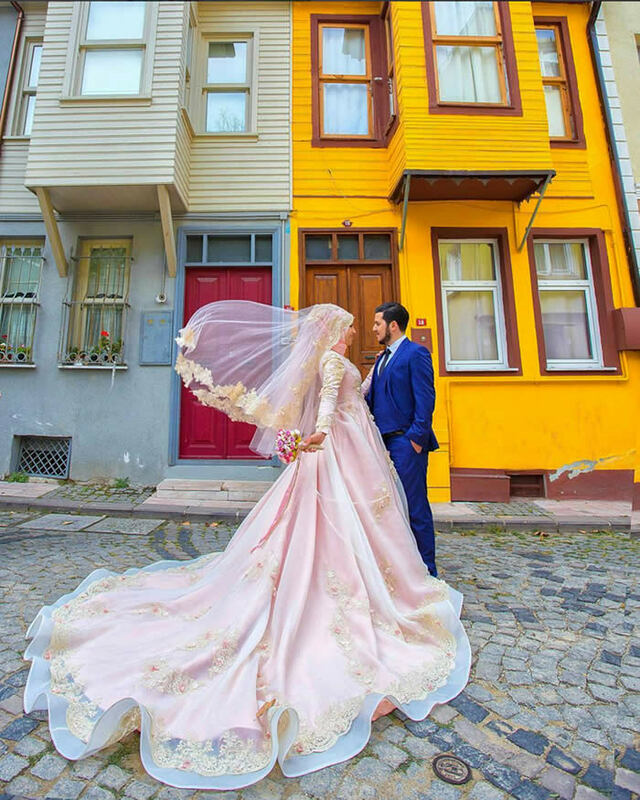 Dreamy wedding portrait? Check! Primarily, matching hijab? Check! Check! Check! 8. And finally, to the hijab look so monotone that y’all may desire a minute to process it. 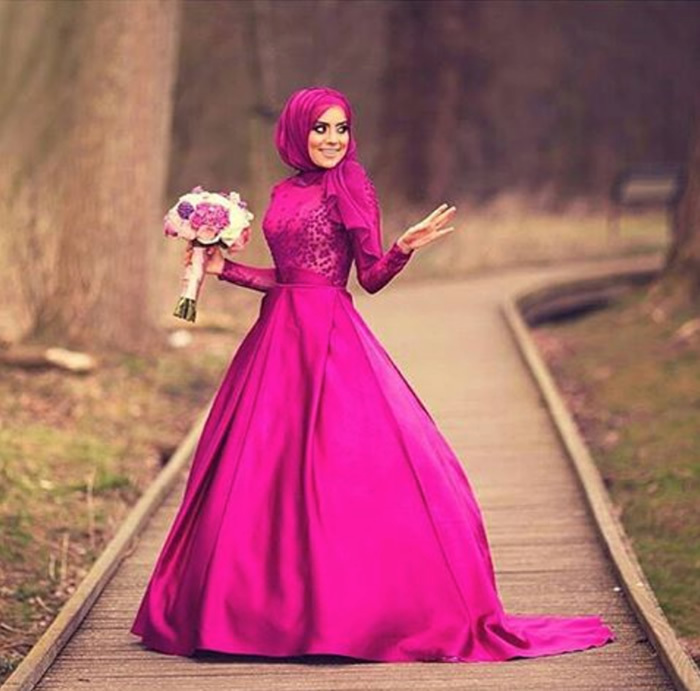 Dressed in fuchsia from head to toe the bride-to-be is breathtaking on all accounts.